Non-banking financial company (NBFC) Hero FinCorp Ltd said on Thursday it has raised Rs 702 crore ($105 million) from private equity firm ChrysCapital and Swiss financial services firm Credit Suisse to fuel expansion over the next 12 to 18 months. The Delhi-based company also got an additional Rs 300 crore from its parent Hero Group, it said in a statement. ChrysCapital will take an 11% stake in Hero FinCorp while Credit Suisse will hold around 2.5%. The transaction values the company around Rs 5,200 crore. Munjal also said that the company is focused on growing the current business and that a banking licence in the future is part of its vision. 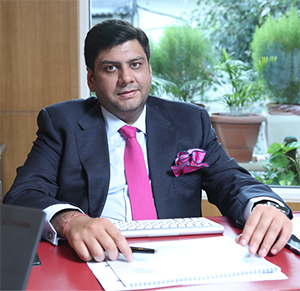 Hero FinCorp joint managing director and CEO Abhimanyu Munjal said the company aims to grow its asset book size to Rs 35,000 crore by 2020 from Rs 8,000 crore and compared with Rs 300 crore in 2013. “The fresh investment that we have received are going to significantly contribute towards our expansion plan,” he said. By 2020, the company plans to enter new product segments such as loans for housing and used two-wheelers while augmenting existing businesses with a special focus on used-car business and SME lending. It also plans to tie-up with financial-technology startups. Hero FinCorp provides financing to more than 2,000 small and medium-sized enterprises. It has presence in about 950 locations across India through more than 2,000 touch points, and plans to double the number of touch points by 2020. In July, The Economic Times had reported that private equity firms Multiples PE, ChrysCapital, Creador Capital, Baring Asia and Partners Group were in the race to buy a 10% stake in the company. It said the company was looking to raise more than Rs 800 crore at a valuation of Rs 8,000 crore. Sanjay Kukreja, partner at ChrysCapital, said the PE firm has made 15 investments in the financial services segment totaling about $600 million in the past 17 years. The PE firm recently picked up a stake in RBL Bank Ltd when the lender raised Rs 364 crore ($54 million) by selling shares to anchor investors ahead of its initial public offering. The investment in Hero FinCorp is ChrysCapital’s first negotiated investment in a year, although it has done some stock market investments. Over the years the PE firm has backed several leading consumer finance companies and lenders such as AU Financiers, City Union Bank, Karur Vysya Bank, Magma Fincorp, Federal Bank and The South Indian Bank. The financial services companies that ChrysCapital has exited include Axis Bank, Bajaj Finance, ING Vysya Bank (now part of Kotak Mahindra Bank), Mahindra and Mahindra Financial Services, Shiram City Union Finance, Shriram Transport Finance Company Ltd and YES Bank.